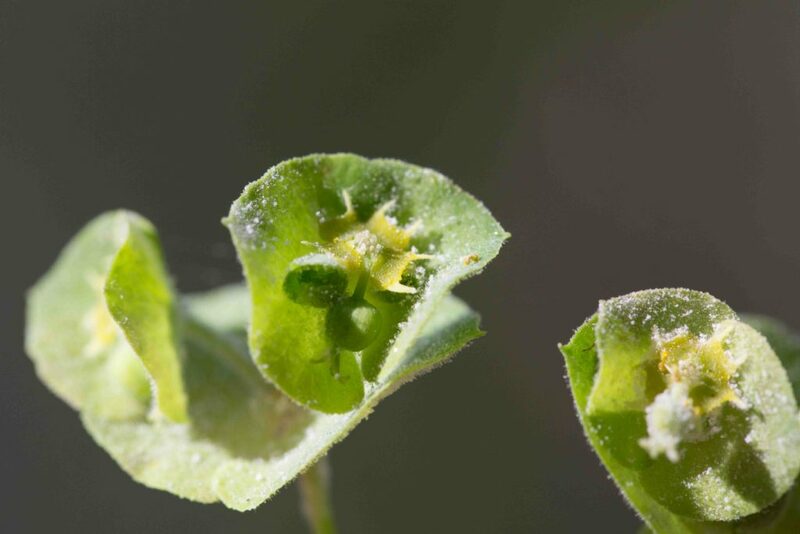 A low-growing perennial to small shrub, this is dioecious (male and female flowers on separate plants). 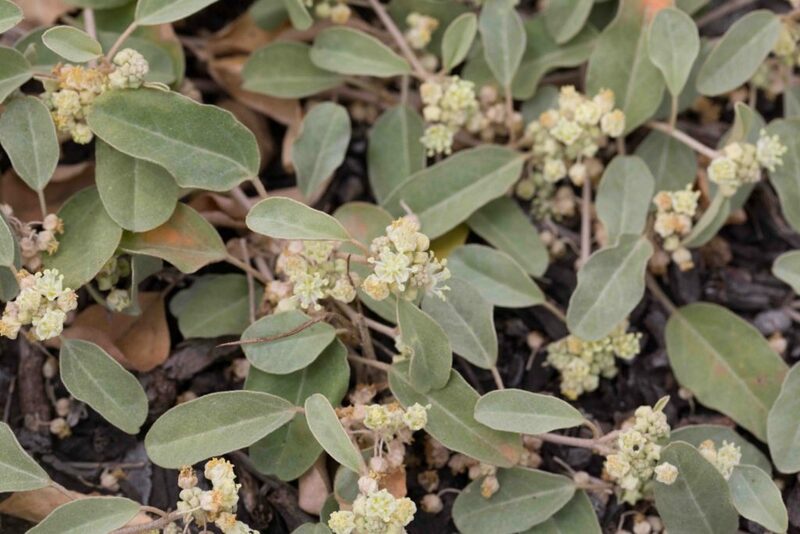 Leaves are elliptic to oblong (20–55 mm long), pale gray-green and felty. 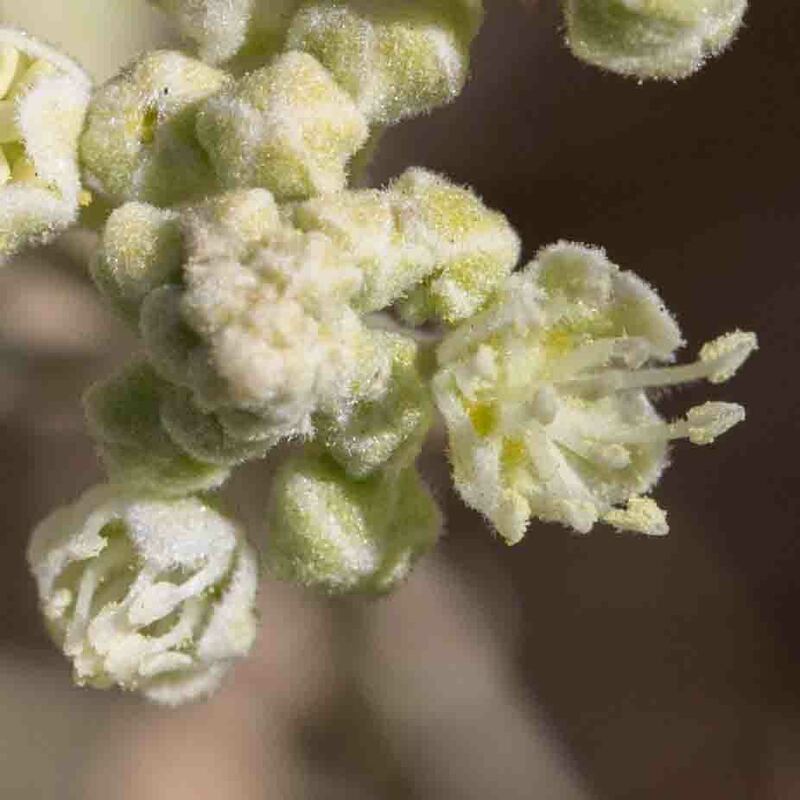 Creamy-white petals are tiny and in 5 parts. 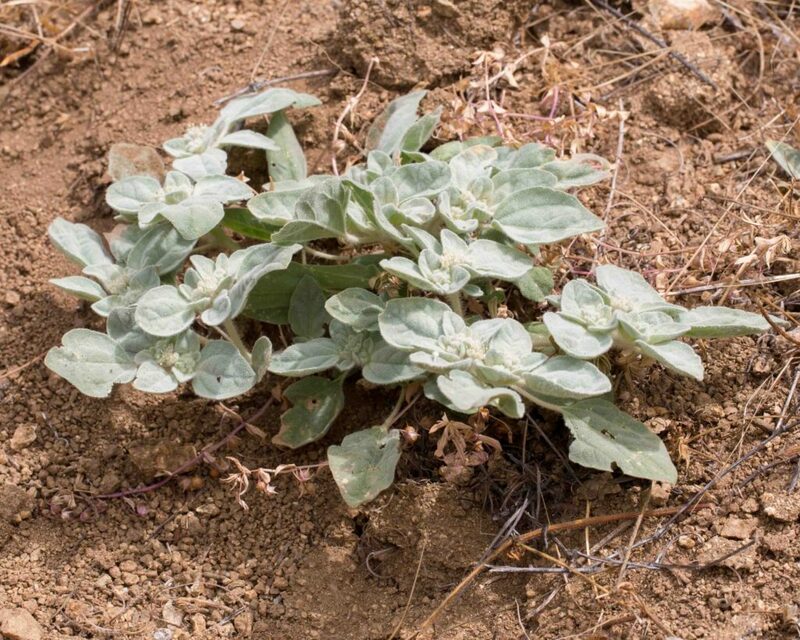 Often prostrate, larger plants can form low mounds. 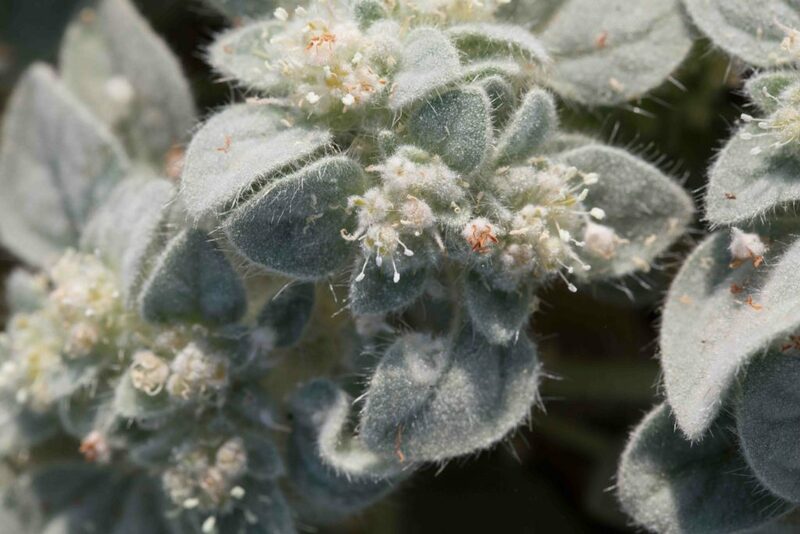 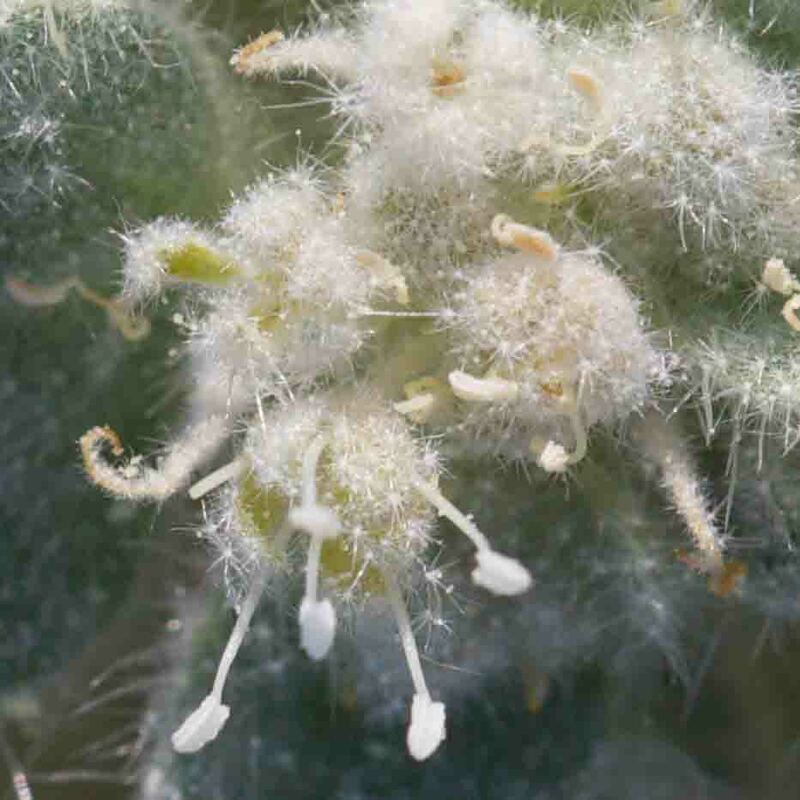 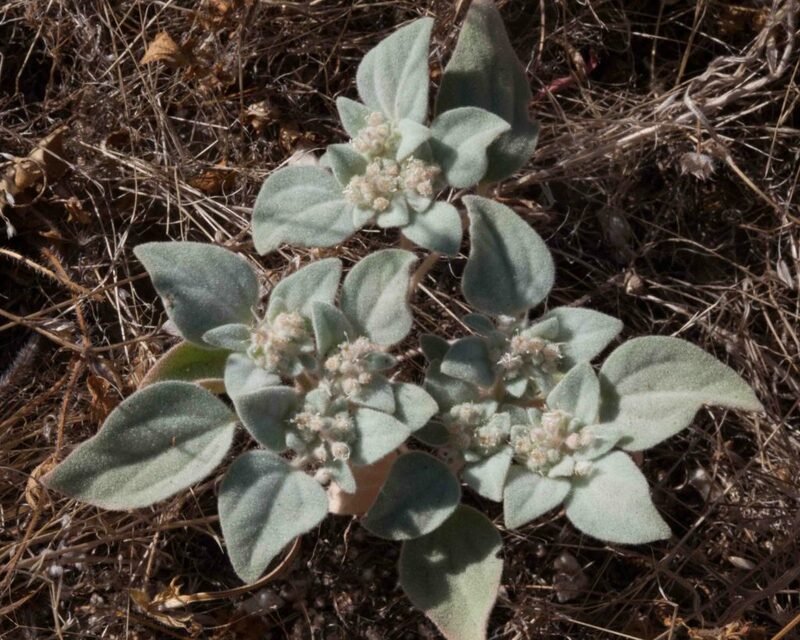 It has distinctive felty, ovate, gray-green leaves and small and rather undistinguished creamy-white flowers. 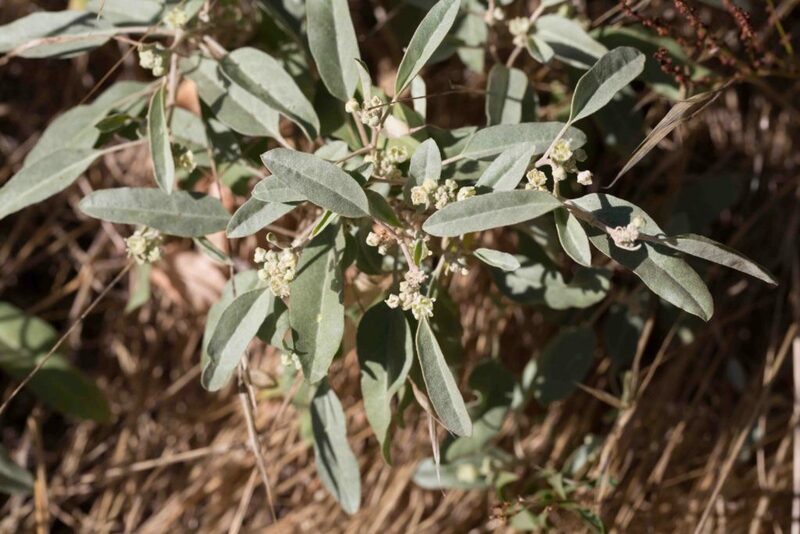 Unlike California Croton (Croton californicus), the plant is monoecious, with separate male and female flowers but on the same plant. 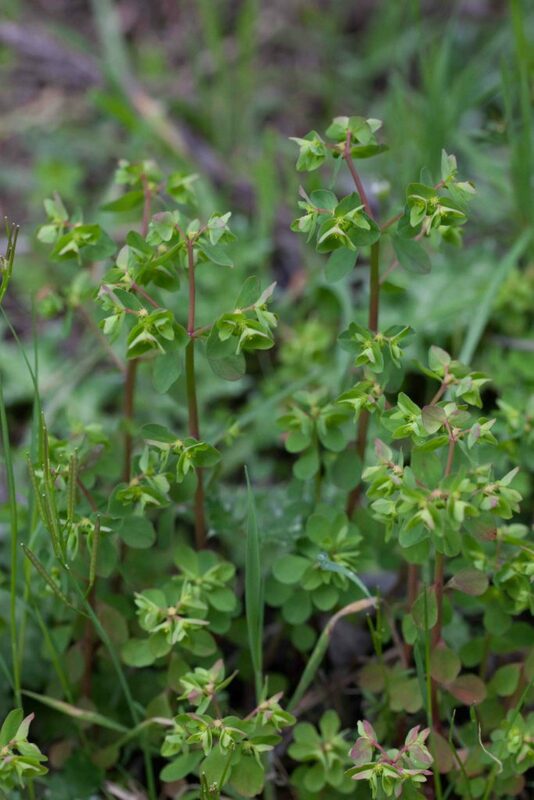 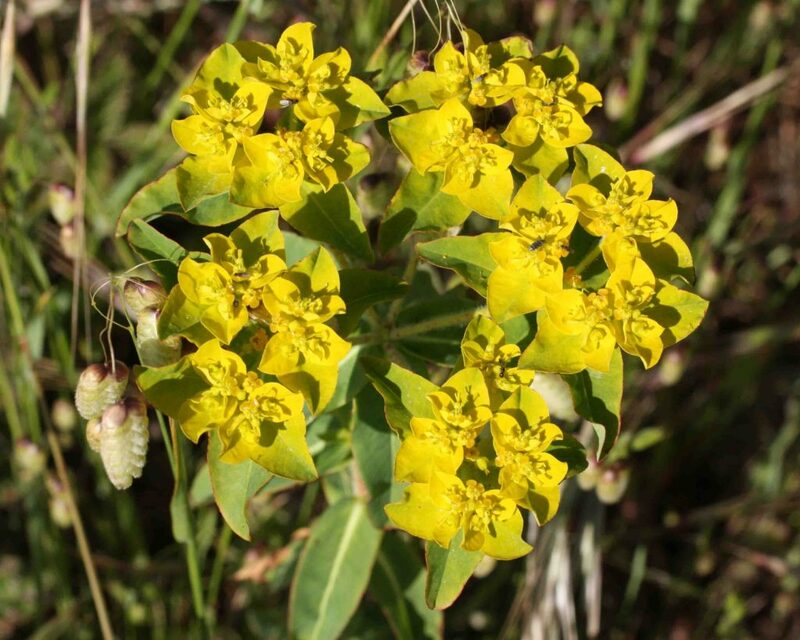 Similar to the non-native and far more common Petty Spurge (Euphorbia peplus), this is a little larger and more robust and is found in dry rather than moist places. 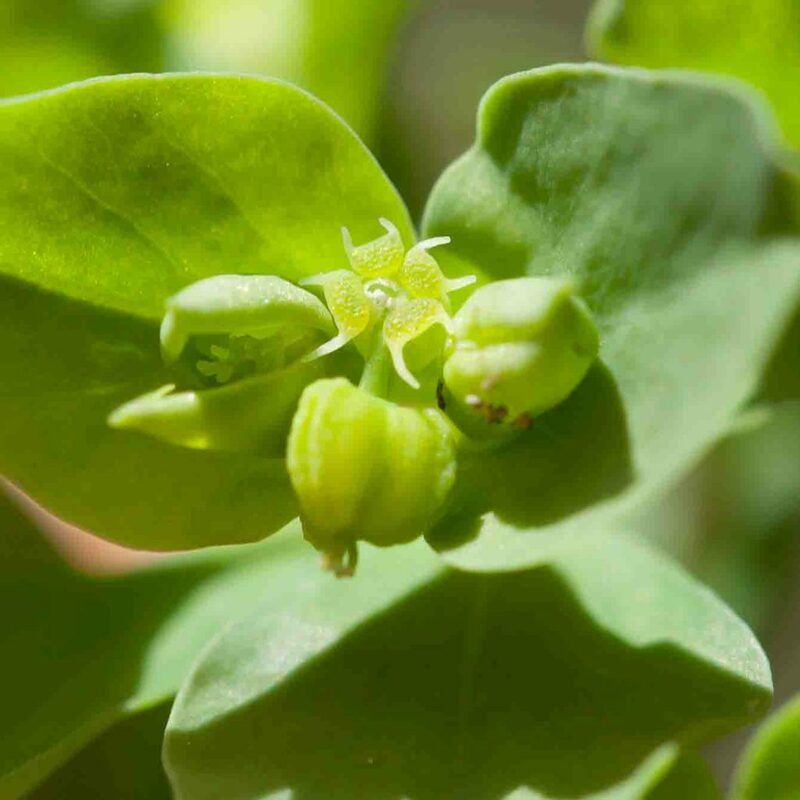 Its flowers, with their horned nectar glands, are very similar but its fruits are spherical and entire rather than 2-keeled like those of Petty Spurge. 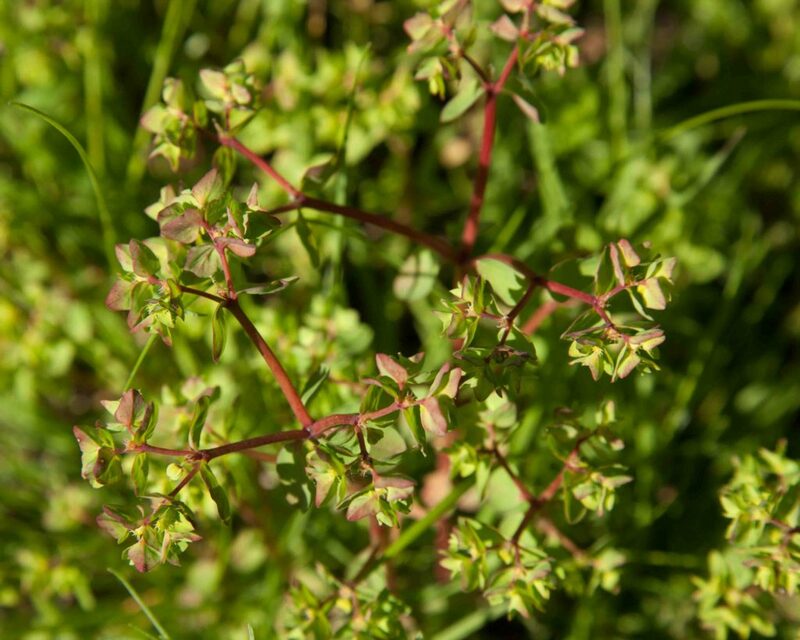 A very common weed, this is an undistinguished looking plant, green with red stems when young and often turning reddish with age. 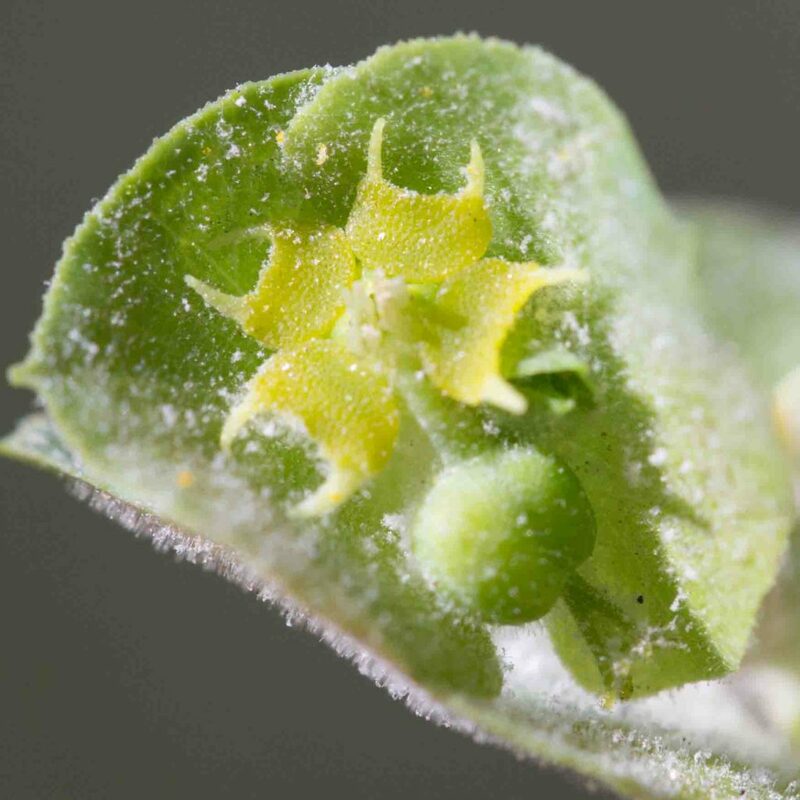 Its flowers are unusual with their horned nectar glands and its fruits are distinctive with their three, 2-keeled segments. 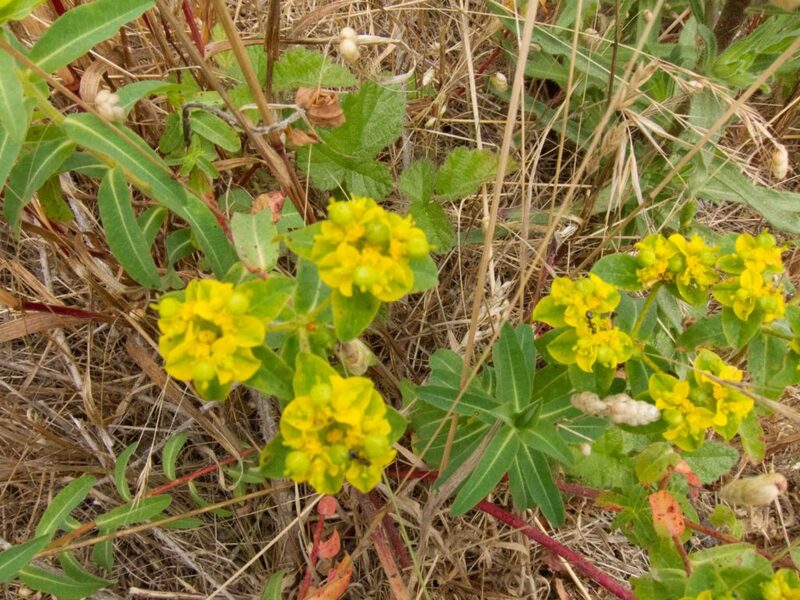 A noxious weed. 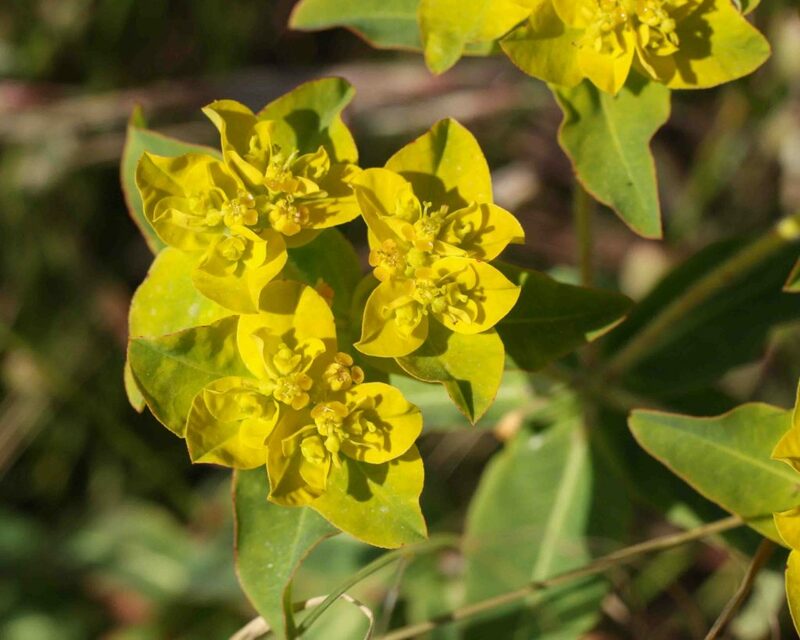 The common name nicely describes this plant with its clusters of bright yellow flowers. 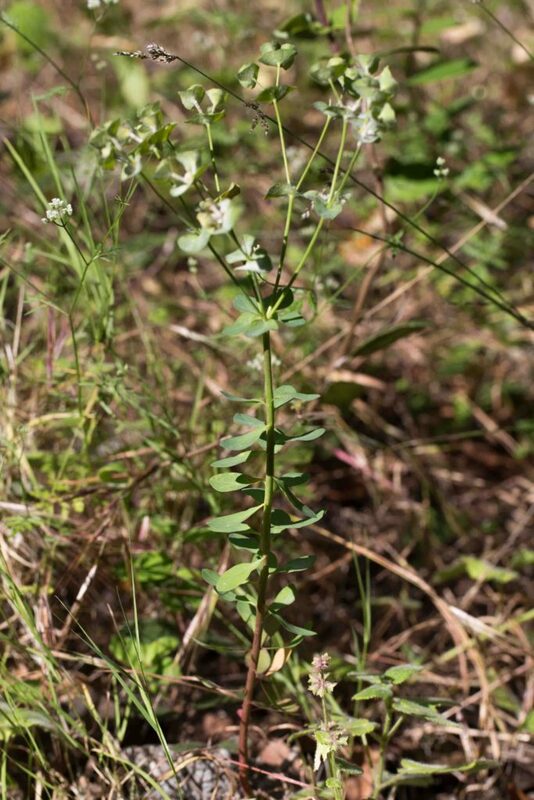 The lower leaves are alternate, the upper whorled, 40–65 mm long, smooth and yellowish-green. 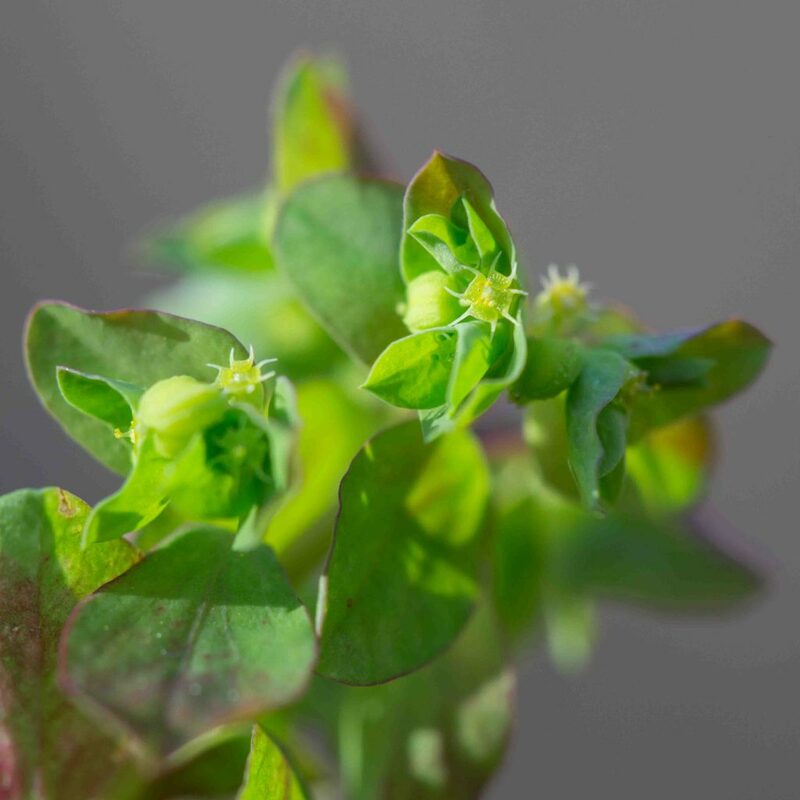 The stem is densely hairy, unlike Petty Spurge (Euphorbia peplus) and the plant is somewhat larger.